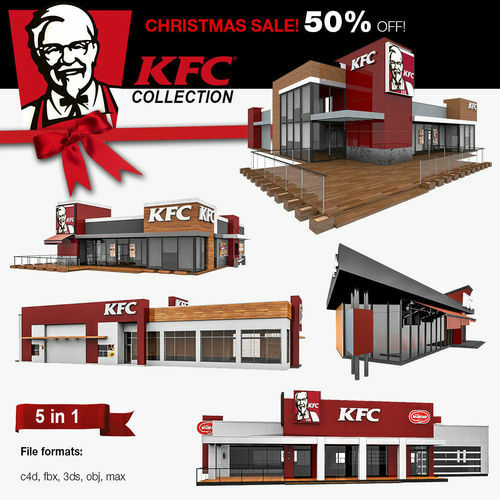 Collection of realistic 3D model of 5 KFC Fast Food Restaurants. World style. - Hi-poly model with MeshSmooth modifier. - Not collapse smooth modified. - File format - Max 2012 & Cinema R12. - All objects and materials in a scene are named appropriately. - Real world size (system units - mm).